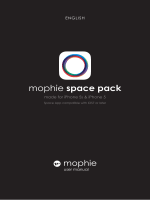 Thank you for purchasing the mophie space pack. stuff, all the time. Leave no file behind. video in addition to whatвЂ™s already on your iPhone. protection of a hard-shell case. you use it is up to you. collections according to their file types. and easy way to access all your stuff. Twitter, text, e-mail and more. protective ultra-impact-resistant case-andbattery-in-one for iPhone. have the full protection of a case. your iPhone is in the space pack. battery life. Know before you go! is built to last, letting you do more, longer. you can still have a fully-charged iPhone. protection, letting you charge with confidence. to use it with any other device. and install it now; weвЂ™ll wait. Your space pack comes charged and ready to go. take only two or three hours for maximum power. means that itвЂ™s almost empty. Know before you go. the pins gently with a soft, dry cloth. it away, charge it for one hour first. storage functions, so you can do more with all your stuff. pack to allow the app to access the space packвЂ™s storage. page 33, for more information. quick and easy way to access all your stuff. and videos a bit more slowly until the scan is complete. individual file must be 4GB or smaller in size. the space pack to a USB port on your computer. InвЂ¦вЂќ and select вЂњSpace AppвЂќ). space pack is connected to your computer. and items via 3rd-party apps. 1. Tap the Add button. 2. Select an iPhone camera roll. The selected files will be imported into the space pack. Slide the Camera Sync switch to the right (green). the iPhone that have not already been imported. Camera Sync switch is set to green. your space pack acts like a back-up drive for them. event that something happens to your stored items. transfer files into it from the iPhone or from a computer. Home screen to display the All Files screen. 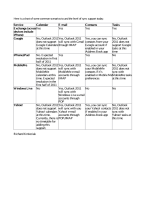 bar to change the sort criteria. you select a single item. all stored files in that collection. both. Note: Thumbnails may take a moment to load. the Photos video player and play the video. pack, sorted by their date tags. a video thumbnail in the video collection screen. in the bottom menu bar to change the sort criteria. from that song to the end. playing the Now Playing screen will appear. and dismiss the status bar. in one of the music collection screens. Tap an item to display it. be supported by the iPhone. only becomes available if you select a single item. becomes available if you select a single item. search for files and folders by keyword. activate the Space App camera control screen. pack (see Managing files in space pack, on page 16). to as a Favorite, for easy recall at any time. Favorites while youвЂ™re viewing or playing the item. Favorites will have an indicator in the upper-right corner. each item collection (photos, music, etc.). of the collectionвЂ™s viewer screen. space pack, not delete it from the Favorites list. Twitter, Dropbox or Google Drive account. item(s) you want to share. 2. The list screen for that collection will appear. 4. Tap the Share icon on the bottom menu bar. The sharing screen will appear. item and follow the screen prompts. in the bottom menu bar when the item is open. listed files and refresh the list. of space packвЂ™s storage is being used. charged and one dot means that itвЂ™s almost empty. Register Product: Tap this to register your space pack. mophie for help with your space pack. mophie Products: Tap this to go to mophie.com. About: Tap this for information about the Space App. the prompts to install the latest version. any statutory rights that you may be entitled to. or provide proof of purchase may void the warranty. not mophie, LLC (вЂњManufacturerвЂќ) are responsible. manner at your local battery-recycling center. re-purpose or modify it in any manner. submerge it in liquid. Keep battery dry at all times. Do not attempt to replace any part of this battery. battery use and contact Manufacturer. period of time, charge it for one hour. N Never dispose of batteries in the garbage. 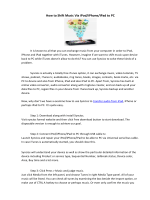 is compatible with your particular mobile device. mobile device incurred through the use of this product. any resulting injuries to any third part(ies). 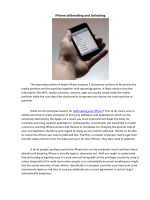 of Apple Inc. App Store is a service mark of Apple Inc.
device could void the warranty. How does the space pack interface work? manage the files you store in your space pack. How do I add stuff to my space pack? InвЂќ and select вЂњSpace AppвЂќ). directly into the space packвЂ™s вЂњDCIMвЂќ folder. All Files icon I canвЂ™t find them. WhereвЂ™d they go? move the transferred photos into them at any time. you would transfer them into a thumb drive. you would transfer to a thumb drive. storage, but the photos are still on my iPhone. Why? your iPhone and watch it using the iPhoneвЂ™s viewer. function, where are they saved? which saves space on your iPhone. time I want to use the Space App? Do I need to back-up the files I store in my space pack? pack to another device (typically your computer). If the space pack battery dies, can I still access my files? or two of the status LEDs lights. open the items on the computer. USB cable. The space pack also lets you sync wirelessly. included micro USB cable for more on-the-go power. indicators will start blinking to indicate charging. are lit, your space pack is fully charged. again. This isnвЂ™t the end-all-be-all, but we like it. What is the best method for charging my space pack? charge both it and your iPhone simultaneously! space pack is rechargeable for over 500 full cycles. get the most from your space pack. What is mophieвЂ™s return policy? camera, or any other ports? Does space pack interfere with antenna reception?